Tax day is fast approaching. There's only a few weeks left to file returns before April 15. But in the rush to file your taxes, be sure you don't fall victim to a tax scam. 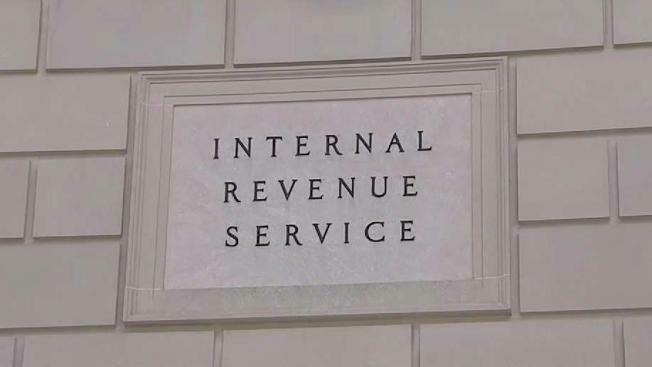 The Internal Revenue service released its annual "Dirty dozen" list of the most common and hurtful tax scams for 2019. The list highlights the wide variety of ways that scammers take advantage of unsuspecting people. These scams can be devastating, since taxpayers are legally responsible for what's on their returns, even if they pay someone else to prepare them. A common method of stealing personal information through email is also used by tax cheats. The IRS says it will never initiate conversations with taxpayers about their bill or refund over email. Any message or website claiming to do that is probably a scam. Scammers will impersonate IRS agents over the phone and threaten taxpayers with arrest, deportation, loss of driver's license and other things in order to trick them into giving up personal information or making a payment to a fraudulent account. Tax returns carry an enormous amount of personal information that criminals can use to commit all sorts of crimes. Be careful with your returns, even ones from several years ago. Most tax preparers are honest and certified. But there are some people who act as legitimate tax professionals in order to gain access to people's personal information or steal their returns. Taxpayers can avoid this scam by finding a preparer through a friend's recommendation, a company database or at a tax fair. Tax preparers who promise to get a huge refund that no one else can get shouldn't be trusted. Never sign a blank return or agree to pay fees based on a percentage of your refund. Be suspicious of anyone who makes claims about refunds without having seen financial paperwork. It can be tempting to round up on your income to get into the range of a certain tax credits, especially with someone who seems to be a professional encouraging you to do so. If you get caught you are legally responsible - even if you were scammed into falsifying your information - and can face major penalties. A similar mistake is overinflating deductions or expenses to lower your bill or increase your return. There are many ways to offset your expenditures and save on your tax bill, but the claims should be legitimate. Faking these numbers can leave you in hot water if you're ever audited. With charitable donations being deductible, scammers will pose as fake charities to pull in last-minute contributions during tax time. Be especially wary of groups with names that sound similar to well-known charities. All charities must register with the IRS. You can check whether a group is legitimate by looking on the IRS website. Improper claims in an attempt to gain credits like the fuel tax credit or research credit can lead to major penalties for you and your business. Hiding money offshore to avoid paying taxes is illegal. Recent leaks like the Panama Papers have led to increased enforcement against tax shelters. Promoters of these scheme encourage taxpayers to make wild claims about the legality of taxes, saying that they'll soon be abolished so you don't have to file a return. These arguments have all gone down in court. There is no impending case that is going to eliminate all taxes. Complex tax structures like trusts and easements are sometimes used to get out of paying taxes. They make the flow of money hard to follow and allow income to be hidden inside shell companies or international accounts. Anyone offering access to these scheme is probably lying. Even if they're not, participation can be illegal.